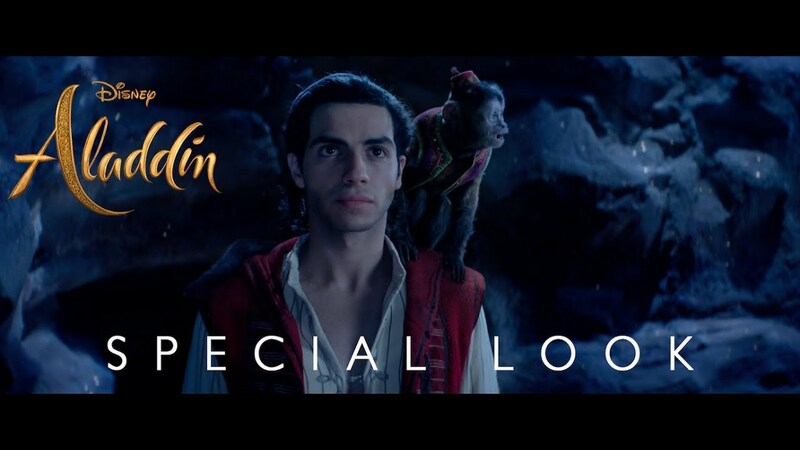 “A thrilling and vibrant live-action adaptation of Disney’s animated classic, Aladdin is the exciting tale of the charming street rat Aladdin, the courageous and self-determined Princess Jasmine and the Genie who may be the key to their future. Directed by Guy Ritchie, who brings his singular flair for fast-paced, visceral action to the fictitious port city of Agrabah, Aladdin is written by John August and Ritchie based on Disney’s Aladdin. The film stars Will Smith as the Genie; Mena Massoud as Aladdin; Naomi Scott as Jasmine; Marwan Kenzari as Jafar; Navid Negahban as the Sultan; Nasim Pedrad as Dalia; Billy Magnussen as Prince Anders; and Numan Acar as Hakim.